Great picture — you must live in a forest?? Today seems to be a good day for yard pictures. 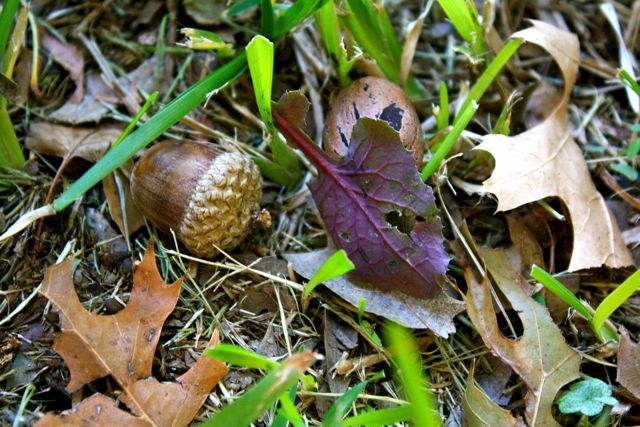 I miss seeing acorns in the yard. Nice!